As we all know by now, the Argyle is expected to cease operations as soon next year, which only means production in 2018 dropped; but by how much? Check out this article to learn more about its 18% drop! One major impact of the world’s leading colored diamond producer means diamond companies (like De Beers) will have to adapt with the lack of supply. One option could have these organizations enter the retail end of the diamond industry. To learn more about the topic, click here. 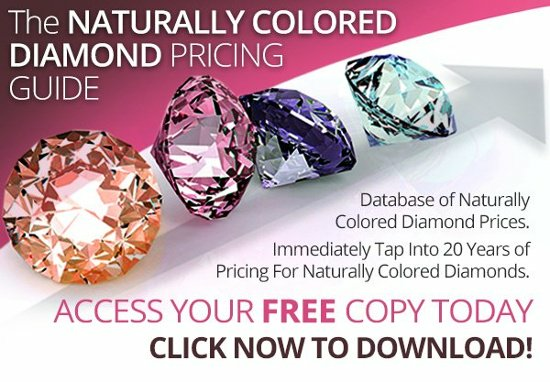 Simple supply and demand suggests that colored diamond prices will dramatically appreciate once the supply runs out. That’s what this Barron’s author writes about in this post. Find out how much colored diamonds have appreciated in the last decade alone! 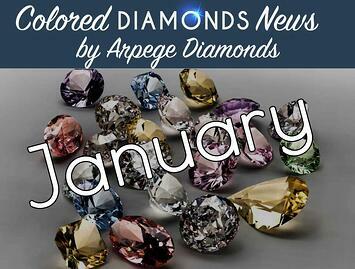 Although this isn’t a colored diamond, on January 29th, Alrosa recovered its largest diamond in over 2 years. Click here to read more about this 191.46-carat stone! Christie’s and Sotheby’s are known for their world-class auctions. In 2018, the two diamond giants sold nearly $1 billion worth of jewelry. How did this compare to 2017? Click here to read more! With 2018 behind us, many are left wondering, what was the best investment of the year? According to this post, luxury assets such as wine, art, and colored diamonds outperformed stocks and bonds! Click here to read more. If you were to guess what the most coveted colored diamond was, would you have guessed it was pink? In this post, this author explores how the pink diamond became the world’s hottest gemstone. Click here to learn more now! The Hope Diamond was initially embedded in the head of a Hindu goddess statue, but ever since it was taken, many of it’s rich owners have been cursed. How far back does this curse date? It’s much older than you think! Click here to learn more about the diamond curse. The Argyle Mine wasn’t the only diamond mine to underperform compared to last year. The Diavik mine in Canada slid 3% in 2018. What could this mean about the diamond industry? Click here to learn more! With 2 of Rio Tinto’s mines underperforming, let’s take a look at the performance of another diamond producing mine. In 2018, Alrosa produced 36.7 million carats of diamonds, which was a 7% drop compared to 2017. With all of these mines underperforming, what does this mean? Click to learn more! On January 30th, the 2019 Magnificent Estate Jewelry Sale will be held in New York. Multiple items will be auctioned off. Click here to see the items up for sale and how much they’re worth! As trends to continue to evolve each year, more and more soon-to-be newlyweds are shifting towards colored diamond engagement rings. Check out this article and learn more about the biggest engagement ring trends of 2019!